It is with great pride and joy that some of the most talented artists in the US comic book industry are Filipino. It’s always a surreal treat to meet these guys in person in comic book conventions, knowing that they’ve been granted the opportunity to do their takes on Spider-Man, Batman, Captain America, Superman, and other world-famous heroes. These days, it’s hard to keep track of what projects these amazing talents are on so here’s a quick guide that shows you where their work will be popping up in the next couple of months. Happy hunting! Yu just came off a six-issue Captain America and is throwing himself into the fray again with this event special. The new comic book event is so big that Marvel decided to do several one-shots to accommodate the massive scale of this epic story. As a Marvel veteran, he gets to play with familiar characters such as Punisher, Blade, and Ghost Rider (he drew them all together in the Ultimate Avengers series written by Mark Millar ten years ago). It should be fun seeing him putting these urban heroes in a fantasy setting. Comes out in May. Captain Marvel. Deadpool. Venom. Black Widow. Winter Soldier. These high profile heavy hitters are only a part of this new group of Avengers and Marvel has entrusted Jacinto with juggling this squad! This is another one-shot that shows a different angle of the war that’s being waged in this epic event. Jacinto’s style is very angular and his fight sequences are very kinetic which makes his style ideal for this war story. Comes out in May. The artist who drew Carol Danvers’s debut as the new Captain Marvel now turns his pen to another icon. 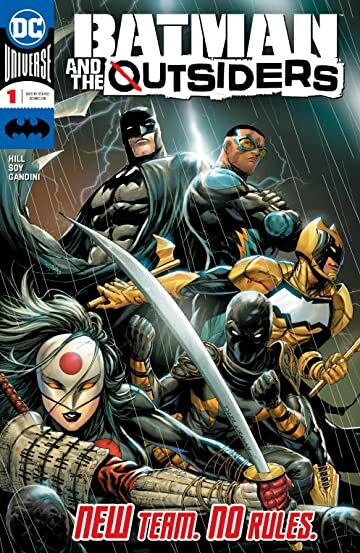 Soy has been firmly entrenched in the Batman corner of the DC Universe for the last several years, working on peripheral Bat-titles such as Red Hood and the Outlaws and Batman: Arkham Knight. His art has evolved quite a bit since his Captain Marvel run, especially since he’s shifted from a painted aesthetic to regular line work, creating a more realistic look to his characters. It will be interesting to see his take on Batman himself. Comes out in April. Out of all the artists on this list, Pagulayan has had the longest running stint on a title. He’s been the regular artist on Deathstroke for the last three years. After taking a short break from the series after his incredible work on the epic Batman vs. Deathstroke story arc, he’s back in the saddle again. 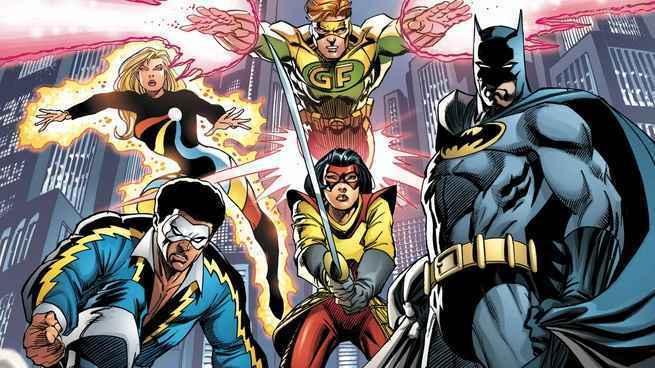 He’s illustrating The Terminus Agenda, a mini-crossover where Slade Wilson faces off against his perennial antagonists, the Teen Titans. Comes out in April. It’s been awhile since we’ve seen Medina on a Marvel book. The last time was when he did a quick run on Venom. Since then, He’s been working at DC, focusing on Aquaman titles such as Mera and Aquaman and the Others. Once again, he’s working on a title that’s under the Spider-Man line – Superior Spider-Man is actually Doc Ock but this is the closest Medina has gotten to drawing the genuine article. Maybe the next step is for him to have a crack at ol’ Webhead himself! Here’s hoping! Comes out in June. Now here’s a real veteran who hasn’t done any interior work in a while! Portacio has resurfaced on fellow Image founder Rob Liefeld’s new X-Men project, Major X. He’ll be doing art for issue 3 for the mini-series. He’s also been doing covers for Uncanny X-Men, the title that made him a superstar artist! It would be great if Marvel decides to get him to do a run on the series for old times’ sake. Comes out in May. Fresh off his contributions on Justice League, Segovia will be found tackling DC’s answer to the Fantastic Four. Characters like Mr. Terrific, Plastic Man, Phantom Girl and Metamorpho are an excellent fit for his sleek and heroic art style. Segovia’s character work is perfectly in line with the look that original artist Ivan Reis gave the title. Maybe Segovia can help draw more attention to this sleeper title that deserves more of a following. Adding to the title’s cool factor is that both the writer and artist are both Asians. They’re one of the few Asian creative teams in the business at the moment! Let’s hope that it’s the start of a new trend. Comes out in April. JV Tanjuatco, comic book writer/editor/publisher, founded Comic Book Lab that publishes the comic book titles Mythopolis and War of Whispers (co-created and co-written by him). Comic Book Lab’s most recent project was the graphic novel anthology Stay: 21 Comic Stories authored by Palanca Award winner Angelo R. Lacuesta and illustrated by a stellar line-up of artists including Trese’s Kajo Baldisimo. He has also written articles/reviews for Spot.ph and Ain’t It Cool.